When a business files for bankruptcy, some or possibly all of the commercial assets will likely be liquidated in an effort to pay off creditors. How the proceeds of this liquidation will be distributed will typically depend on the amount and types of debt a business has (among other factors). Denver Bankruptcy Attorney Arthur Lindquist-Kleissler has more than 34 years’ experience with business bankruptcy, liquidations and asset distribution. 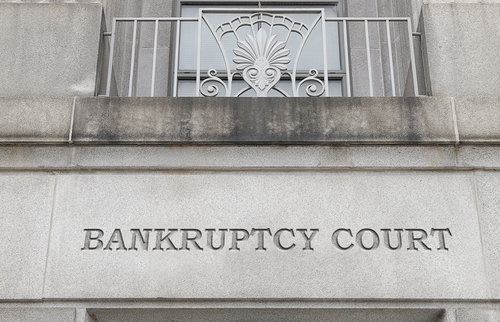 Here is a general look at how asset distribution occurs with corporate bankruptcy cases. Secured creditors are usually paid first – Secured creditors refer to lenders who provide loans, mortgages or other lines of credit to businesses in exchange for some type of collateral. Banks are one of the most common types of secured creditors, and they are usually paid first from the proceeds of asset liquidation. Unsecured creditors are generally paid next – Creditors like credit card companies, some banks, vendors and others entities who have extended lines of credit or loans to businesses without any upfront collateral are paid from the proceeds of a liquidation after secured creditors have been paid. Stockholders are paid last – While stockholders have a lot to gain when a business thrives, they also have a lot to lose if a business files for bankruptcy because these investors are generally the last to be paid after a business’ assets have been liquidated. When a business does not have a lot of assets and/or there are a substantial number of other creditors (or there are a few creditors but a significant amount of outstanding debt), there may be little to nothing left to pay stockholders. The proceeds from the liquidation are also used to pay the administrative costs of filing for bankruptcy (i.e., the court fees for bankruptcy proceedings). The amount of these fees will depend on whether a corporate entity has filed for Chapter 11 or Chapter 7 bankruptcy. Creditors may challenge the order or amount of asset distribution in attempt to get paid first (or more). These issues will be decided by the bankruptcy trustee/the court overseeing the business bankruptcy case. If there are any remaining proceeds from the asset liquidation (after all debts have been paid), the remainder will go to the debtor/business. When businesses are struggling with debt or any type of serious financial crisis, Denver Bankruptcy Lawyer Arthur Lindquist-Kleissler is ready to help these entities determine and pursue the best options for debt relief. Mr. Lindquist-Kleissler and the other legal professionals at Lindquist-Kleissler & Company, LLC have been providing both small and large businesses with the highest quality of legal services when it comes to debt relief and bankruptcy for more than 34 years. From simple to complex corporate bankruptcy cases, Mr. Lindquist-Kleissler can always be trusted to efficiently navigate the bankruptcy process for businesses in order to resolve these cases as discretely, favorably and efficiently as possible. To learn more about corporate debt relief options and how business bankruptcy could help your distressed enterprise, set up a free 30-minute consult by calling (303) 691-9774 or by emailing our firm using the form on this page. You will pay nothing up front to obtain trusted, professional advice regarding your case and your options.